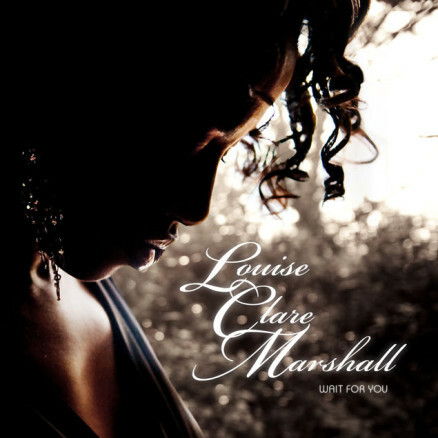 14 songs that show the true range of Louise Clare Marshall and her styles, from Soul to R&B, Jazz to Classical, lyrics written by CJ Ranger and a collaboration with Chris Difford, you won’t be disappointed. The song ‘Wait For You’ was the first song she wrote and ‘Music For a While’, a song she heard her sister singing and brother playing at an early age, a mixture of original heartfelt songs and an exquisite ballad version of Whitney Houston’s ‘I Wanna Dance with Somebody’, enjoy! You can buy my album through iTunes or you can buy a hard copy of my album securely through PayPal. The hard copy of the album will be £10 plus £1.20 postage & packaging. Nursery Rhyme Trad., arrangement by Louise Marshall. Music by Louise Marshall. Lyrics by CJay Ranger. Piano: Pete Adams. Bass: Steve Walters. Drums: Carlos Hercules. Billie Godfrey, Melanie Marshall, Louise Marshall and Bryan Chambers. Music by Louise Marshall. Lyrics by Chris Difford and Louise Marshall. Rebecca Gilliver (Vc). String arrangement: Chris Cameron. Oh what we are left with, a tangled web of lies. Drums: Carlos Hercules. Percussion: Lea Mullins. Rebecca Gilliver (Vc). String arrangement: Louise Marshall. Composed By George Merrill and Shannon Rubicam. Arranged by Louise Marshall and Pete Adams. Piano: Pete Adams. Bass: Steve Walters. Drums: Carlos Hercules, Rhodes: Luke Smith. Guitar: Paul Reid. Percussion: Lea Mullins. Drums: Carlos Hercules. Guitar: Paul Reid. Music and piano by Louise Marshall. Trombones and arrangement: Fayyaz Virji. Those silly games we play I love, is that so wrong? Piano: Pete Adams, Bass: Steve Walters. Drums: Carlos Hercules, Guitar: Paul Reid, Percussion: Lea Mullen. Strings: Matthew Ward(vln), Sonya Fairbairn(vln), Rebecca Chambers (Vla)and Rebecca Gilliver(Vc). Oboe: Juliet Lewis, String Arrangement: Chris Cameron. Words and music by Eddy Arnold and Cindy Walker. Guitar: Adam Goldsmith. Bass: Frazer Snell. Drums: Chris Dagley. Arrangement by Louise Marshall and Stephen Hill.